Weekly Photo Challenge: Orange you glad it’s photo challenge time? | Oh, the Places We See . . .
Well, of course we’re glad it’s photo challenge time. Especially with this theme. 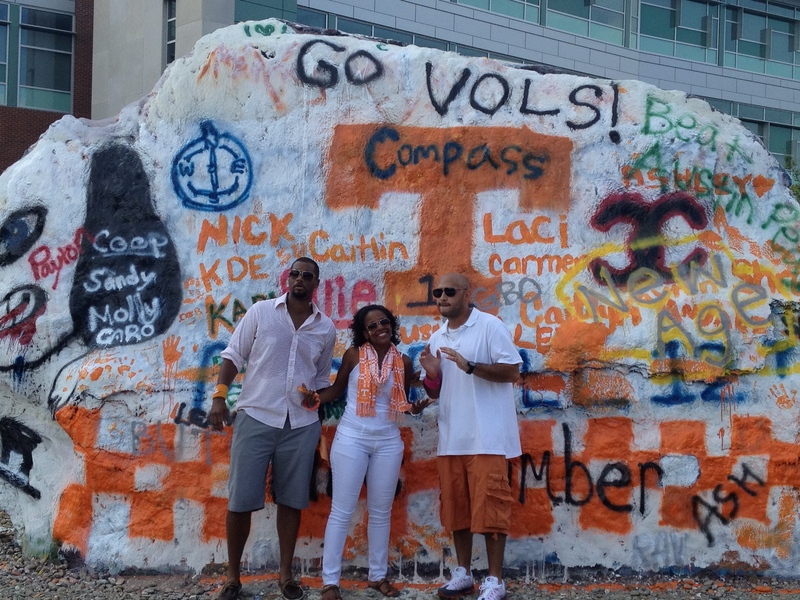 As they say around Knoxville, we bleed orange around here. And not just any ol’ orange. 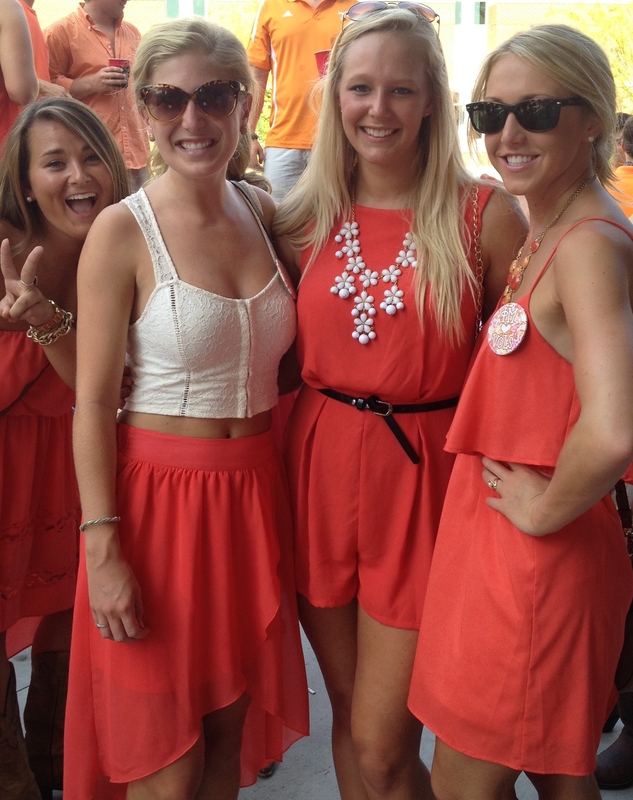 This is gen-u-wine University of Tennessee orange. Go Vols! Everyone wants to see the Pride of the Southland Band! 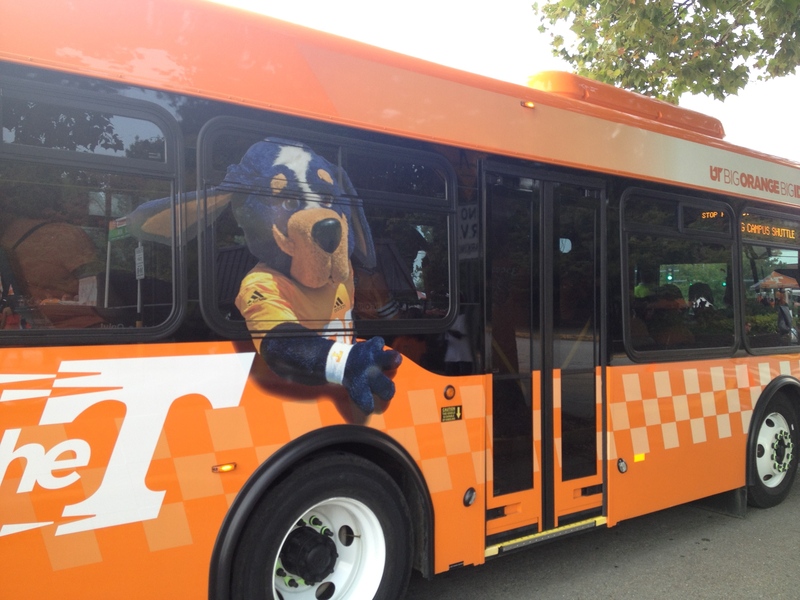 Smokey takes a spin around campus. Prettiest co-eds in the Southeastern Conference! Posing for pics at The Rock! 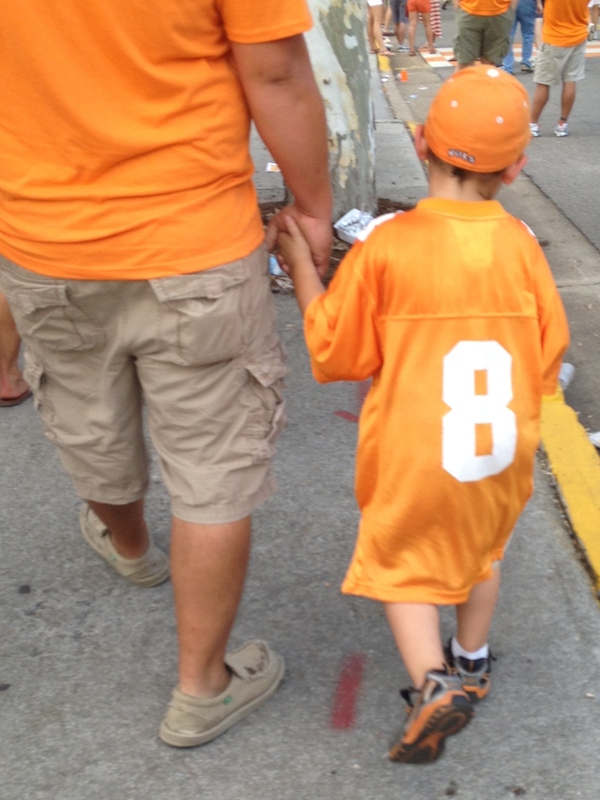 Vol fans come in all sizes. For more entries in this week’s WordPress Weekly Photo Challenge: Orange, click here. 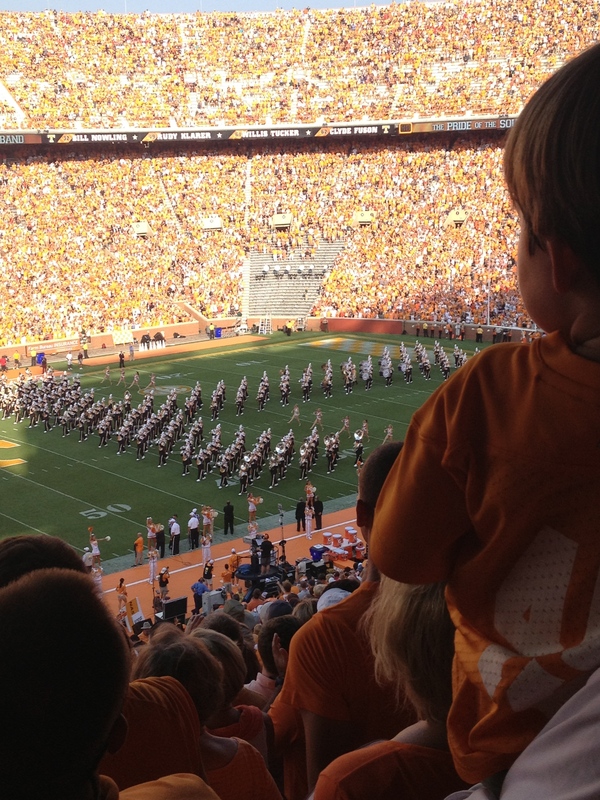 This entry was posted in Weekly Photo Challenge and tagged Go Big Orange, Go Vols, Pride of the Southland Band, Smokey, The Rock at UT, University of Tennessee. Bookmark the permalink. 8 Responses to Weekly Photo Challenge: Orange you glad it’s photo challenge time? Having lived 20 years in Chattanooga before moving to New Zealand, your orange contribution reminded me of home. Love the little guy in his big shirt! Wow! What a change from Chattanooga to New Zealand, but there are UT fans wearing orange all over the world. Go ahead. Put one of those big shirts on and yell, “Go, Vols!” Thanks for commenting, Dee. Lovely pictures and great response to the prompt! The little boy picture is one of my favorites, too. Lots of kids come to the tailgates. Not all make it to the game. Tickets are pretty high. But all have a good time no matter what part they see.